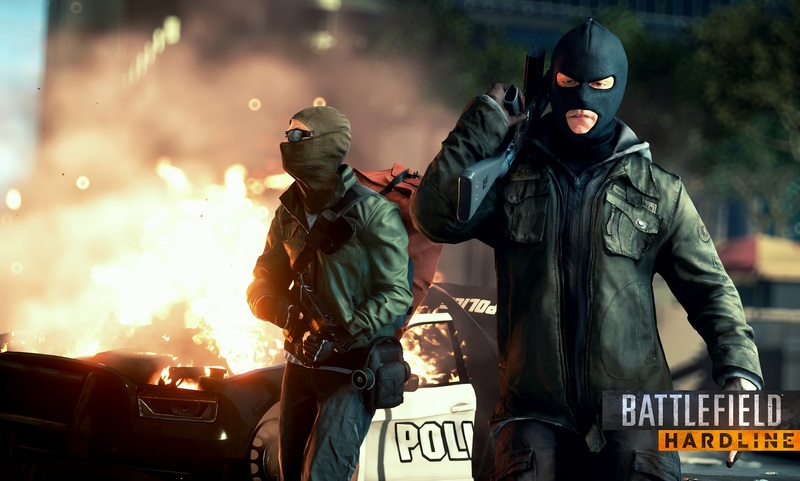 Battlefield: Hardline Has a "Lame List"
Early in the process of creating Battlefield: Hardline, Visceral Games Creative Director Ian Milham wanted to make sure that the game did not get caught up in many of the tropes that befall many action TV shows, movies and games. So he started a "Lame list" that listed in words and pictures exactly what he didn't want in the upcoming game. "I didn't want helicopter crashes because they are cool but overused," he said during a San Diego Comic Con panel about the game. "I didn't want to have you following someone and they glance over and see you and you fail a mission. I saw a show where two beat cops who are supposed to be the focus are talking and a soldier walks up who was even cooler than they were. Why would you want to introduce someone cooler than your stars?" Milham said the tropes were getting to the point that he had to make it clear to the team what was not cool for the game, so he put up a whiteboard with pictures that listed things that you definitely won;t see in the game. "In the other Battlefield games, it was more like a shooting gallery," he said. "We are definitely trying to do something different here." Hardline is a bit of a departure for Visceral, having done the Dead Space franchise for the last several years. Milham said that at the end of Dead Space 3, the team decided it wanted to try something different. "We needed a break from Dead Space and we wanted to do something other than sci-fi," he said. "So we settled on the idea of cops and robbers in Battlefield without the soldiers. What we have come up with is reminiscent of Elmore Leonard and his stories, and even the TV show Justified." To emphasize the point, members of the panel included Bill Johnson, who has directed several episode of Justified, and Wendy Calhoun, a narrative director for Justified. Johnson directed the actors throughout the production of all the mo-cap sessions, while Calhoun put together the story for the game. "I based the story on two things I love: cops and criminals," Calhoun said. "It follows two good cops. Eventually they are set up by another group and then become criminals. They break out of prison and try to turn the tables on the people that set them up." Calhoun said she also likes paying special attention to the bad guys. "You gotta love your villains," she said laughing. "I love the darkest characters and the ones that seem the most grey. You try to make them human so the viewer can be sympathetic to them. There is a bit of hero and villain in all of us." Milham did take a minute to address the release date, which was recently pushed back to early 2015. "You only get one release," Milham said. "If the game is great enough it will transcend everything. People will forget about the delay. We want to take the time to make the game better and have a great game at the start."